President Ilir Meta accepted the diplomatic credentials from the new Ambassador of the Kingdom of Denmark in Albania, René Rosager Dinesen. Meta praised the relations as very good between the two countries. Specifically, he expressed gratitude for the support Denmark has provided for the development and strengthening of democracy and the independence of institutions in our country for the protection of human rights. President Meta also expressed gratitude for the support that Denmark has given to the European integration process of Albania and expressed the confidence that this support will be demonstrated for the immediate opening of the country's EU membership negotiations. While focusing on bilateral co-operation, President Meta underlined the need for intensifying economic and trade cooperation and better utilization of the potential of the two countries. 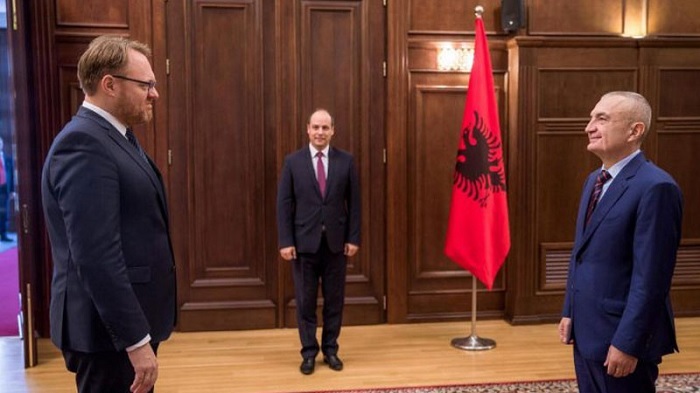 The good performance in the field of tourism and the presence of some well-known Danish companies in the Albanian market encourages us in this regard - said President Meta.